New York (AFP) - Former Goldman Sachs chief Lloyd Blankfein met with a man at the center of the 1MDB corruption scandal involving former Malaysia Prime Minister Najib Razak, a person close to the matter confirmed to AFP. The US Justice Department charged three people in the case last week, two of them former Goldman bankers, and said a "high-ranking executive" of the bank was present at a November 2009 meeting with Low Taek Jho -- an alleged mastermind and intermediary to the Malaysian fund. The source, who asked to remain anonymous, confirmed news reports that Blankfein, who stepped down as CEO last month after 12 years, is the executive named in the court documents. A Goldman Sachs spokesman declined an AFP request for comment. The source told AFP that Blankfein and Low attended a meeting in November 2009 hosted by Najib at his hotel in New York while visiting the United States. The private reception, which was described as an outreach effort, was held a few weeks after Najib created Malaysian public investment fund 1Malaysia Development Berhad (1MDB) to modernize Malaysia. That meeting laid the foundation for a commercial relationship between the prestigious investment bank and Kuala Lumpur, the source said. The United States charged Low Taek Jho, also known as Jho Low, with working with two former Goldman bankers -- Tim Leissner and Ng Chong Hwa -- to launder billions of dollars allegedly skimmed from 1MDB. Low remains at large. Leissner and Ng are charged with conspiring to launder billions of dollars from the sovereign wealth fund and for conspiring to bribe officials in Malaysia and Abu Dhabi to hire Goldman for lucrative consulting contracts. US authorities said the scam allowed the men to divert $2.7 billion from 1MDB in the form of commissions on three bond issues in 2012 and 2013, underwritten by Goldman Sachs. Goldman earned $600 million in commissions as a result. 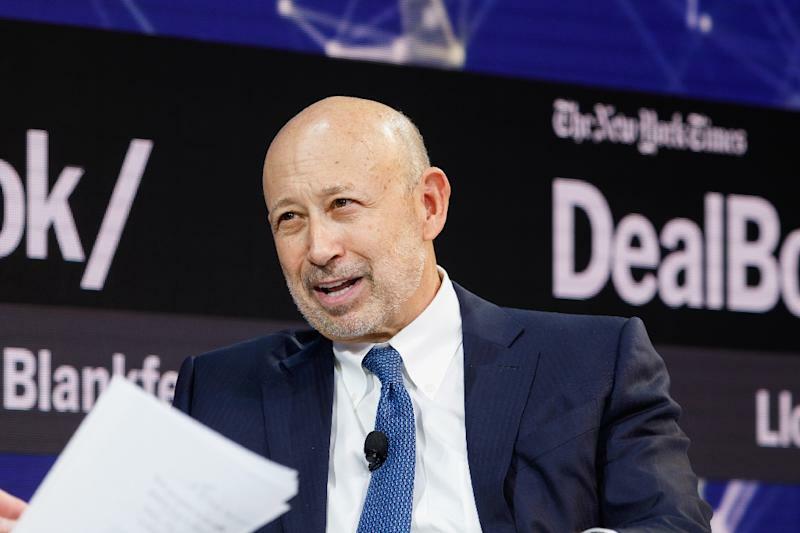 However, Blankfein did not know Low and did not know he would attend the November 2009 meeting, which also was attended by other Goldman Sachs bankers and Najib's entourage, according to the source. The discussion covered a broad range of topics. Another source told AFP that Blankfein also was scheduled to meet Low at a conference in New York on September 25, 2013 but Low did not attend, which contradicts news reports that the two met twice. Conference participants also included private equity firms such as Bain Capital and TPG to discuss "Investing in Malaysia." The bank has said it is cooperating with the US Justice Department's criminal investigation and Goldman lawyers are due to meet with investigators next week in Washington, a source close to the investigation told AFP.